You are here: Home > Blog > Selling Real Estate > What is a CMA and why is my Realtor Providing One? You probably have two main goals now that you have decided to sell your home: the first is to get as much money as possible and the second is to sell it as quickly as possible. When you call a REALTOR® to come to your home to possibly list it for sale, the REALTOR® will tell you that they will put together a CMA for you. What is a CMA? A CMA is a Comparative Market Analysis. Formats from one REALTOR® to another will be different, but the purpose is the same: to provide you the fair Market Value of your home. In other words, the main purpose of the document is to tell you, in the opinion of the REALTOR®, what a Buyer may pay for it. There are many factors involved in determining fair market value and a CMA will take into account the comparable homes sold, currently listed and those that expired (failed to sell) as well as the location of the home, current condition, repairs if needed etc. A CMA is not an Appraisal – it is an Opinion of Value from a REALTOR® and therefore not a legal document. A CMA is also timely. The CMA is only applicable for the date it is provided because another comparable home could sell the day after the report for much more or less money than anticipated which can affect the fair market value of your home. To give you the market value of your home, your REALTOR® will search for comparable homes that have recently sold and homes currently listed and homes that have failed to sell in your neighbourhood. The REALTOR® will also take into account the current condition of your home, finishes, and location. Municipal and Legal description of the property – i.e. Property is known as 123 Main St. Anycity, and legally described as PLAN A12 LOT1 SECTION A12. Lot description – The description will include the lot size, the shape of the lot (i.e. pie shaped), whether it is landscaped and treed and what the lot backs onto. Local improvements – Improvements such as new sidewalks, new sewers, etc. A description of the current condition of the home – Approximate square footage, heating system, finishes, basement (crawl space, full, finished), etc. Limiting Conditions – The limiting conditions advise you of certain conditions and assumptions made by the REALTOR® such as “The legal description as provided is correct.” Or “That the improvements are within the lot lines and that there are no encroachments from within”. Read through these conditions carefully. Comparable properties – The list of comparable properties will be attached to the document to help highlight how the REALTOR® based their opinion of value. Ultimately the price you list your home for is your choice. You can choose to list based on the opinion of the REALTOR® or list for a different price. Your REALTOR® provides the CMA based on careful analysis of the market conditions and comparables to help you determine a fair market value, but ultimately the choice of listing price is still yours. You should also read “Priced to Sell” to help you. - Listing a home for significantly more than market value is a bad idea. An over-priced home generally does not get many showings and does not sell quickly. - Listing a home for significantly less than market value is also a bad idea. In our area, multiple offer situations are rare (unlike in the City), selling a home for less than market value is not a prudent idea. - Ask for CMA’s from several local REALTORS® and ask questions about how they decided on the market value. Generally, most REALTORS® CMA’s will have similar ranges of market value. - The CMA report is timely – it only applies for a certain date. If improvements are made (such as a new kitchen, new roof, etc), after the date of the CMA, a new CMA will have to be completed. Also, if you decide not to list at the time of the CMA and decide to list a few months later – a new CMA must be completed to reflect any market changes. - Don’t decide to list with a REALTOR® based only on their CMA. Review the REALTORS® marketing plans, read the testimonials from past Clients, and find a REALTOR® you will like working with. Just because one REALTOR® says your home is worth more than what everyone else says – doesn’t mean they will market your home effectively. 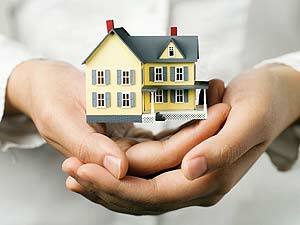 - It’s important that you clarify your needs and expectations to your REALTOR®. To avoid misunderstandings later on, it’s important not to make any assumptions. - Discuss all of the services that will be provided. Take the time to clarify the fees and costs related to these services and make sure the written agreement is clear. - You should also take time to ask what your REALTOR® expects from you and what your obligations are. There are many factors involved in determining a listing price for a home and a Comparative Market Analysis is one of those factors. We hope that you found this article educational and if you have any questions or comments, The Saugeen Team is more than happy to help. Call or email anytime!